Indiva will have the exclusive right to all cannabis-related production. Subject to applicable regulatory approvals, Indiva will also leverage the Denmark license for the importation of EU-GMP cannabis into the Danish and European markets. Indiva has identified Europe as a key emerging market in cannabis, estimated at some $80 -100 billion at maturity1. Europe is home to greater than 500 million people and the growing acceptance of medical cannabis is leading to significant growth in registered patients. Medical cannabis will soon be a state-subsidized medication for certain patients in Denmark, writes Calvin Hughes. New laws spawn a growth in the industry as 12 permits are issues, with three more impending. Denmark will soon become one of the largest medical cannabis producers in Europe. Since December 2017, the Laegemiddelstyrelsen medicines agency has issued 12 permits to companies to produce medical cannabis. The authorisations followed last year’s parliamentary approval of a four-year trial for doctors to prescribe medical cannabis to patients, which began on January 1. Since this approval, 17 companies have sought the right to produce medical cannabis in Denmark. Two were rejected and three are still awaiting a decision. Is medicinal cannabis the solution to an opioid crisis? “Are you high right now?” This was a genuine question I received when telling someone I take medicinal cannabis for my chronic pain. “Aren’t you worried about psychosis?” was another one. I was never asked anything like this when I told people I was taking high doses of morphine, a powerful synthetic opiate, which incidentally did make me feel high and slightly unbalanced amongst other side effects. As this is a normalised drug and legal there were no question marks about my using it, despite the evidence that it is heavily addictive with fundamental side effects. Illegal oil particularly showing up more often in packages from abroad. It seems as if oil derived from hemp plants is become increasingly popular in Denmark, at least according to new figures from the state police and the tax authority SKAT. The police confiscated almost 1,000 containers of cannabis oil in May and June this year alone – over twice as many as the 408 taken over the whole of 2016. SKAT backs up the trend, noting that cannabis oil is increasingly making its way into Denmark in packages sent from abroad. “Specifically cannabis oil is something that has begun turning up more in the last couple of years,” Preben Buchholtz, a deputy head at SKAT’s customs department, told DR Nyheder. More than 80 percent of Danes are in favour of legalising the medical use of cannabis, a new survey has found, increasing the chance that a pilot scheme planned for next year will lead to an end to prohibition. The survey by Analyse Denmark found that only five percent of people in Denmark opposed medical cannabis, with the remainder saying they did not have an opinion. Epilepsy Hospital Filadelfia, in the Danish town of Dianalund, has begun treating patients with medicinal cannabis. This is only part of Denmark's new pilot project to estimate the benefits of the use of medicinal cannabis by certain types of patients. Although marijuana is not yet the doctor's preferred choice in Denmark, whose hospitals rather prefer conservative treatment, a pilot project to estimate the positive effects of cannabis was approved of in November 2016. During the trial period for the use of raw, unprocessed cannabis, about 1,500 patients are looking forward for a pain-relieving effect. 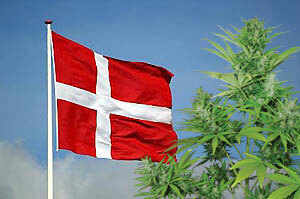 Danish government unlikely to grant request for trial legalisation programme. Copenhagen officials are trying to legalise cannabis - despite the Danish government rejecting a proposed trial three times previously. The city government, led by Mayor Frank Jensen, has made its fourth formal request that the capital is allowed to carry out a trial legalisation programme where sales are exclusively handled by public authorities.